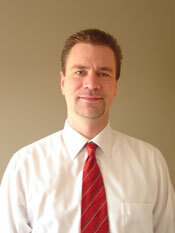 Kloppmann Architects was started in 2008 by Principal Architect Jonathan D. Kloppmann, RA. Having worked for both large and small architecture firms, he decided to start Kloppmann Architects to provide a more personal approach to his clients at a more reasonable cost due to less overhead that is common with other firms. Jon began his career in Architecture by receiving his associate’s degree in drafting from Lincoln Technical Institute in Allentown, PA. Because of the slowness of the field during that time, he worked as a carpenter for William J. Patrick, Building & Renovation and as a cabinet maker for Heritage Custom Kitchens in New Holland. That hands on experience in the field proved to be one of the most valuable assets he learned. Following his work in carpentry, he worked for Denlinger’s (now Stock Lumber) designing wall panels. His ambition to further his career brought him to Drexel University in Philadelphia, PA. Realizing that to fulfill his goals of becoming an architect required more schooling; he enrolled in Drexel’s part time evening program. At the same time, he was offered a position with Beers & Schillaci Architects (Now Beers & Hoffman, Shonk, Schwear & Associates) as a draftsman. Jon took a position with Architecture & Engineering Innovations in Mountville, PA as project manager, which transitioned to project architect when he completed his degree at Drexel and obtained architecture licensure in Pennsylvania. One of the benefits he attributes to his position with a+ei is the in depth involvement of working for a small company. Being involved in every aspect of the project from proposal to post construction phases helped prepare Jon for starting Kloppmann Architects. Jon’s determination and attention to detail is evident in his work. Determination brought him through eight years of night school in Philadelphia PA, all the while commuting from Lancaster, working full time and supporting his family at home. This same determination and attention to detail is what will make your next project succeed! Jon lives with his wife and six children in Holtwood, PA where he also serves as Chairman of the Martic Township Planning Commission.